Feminists were in a fury over a new Australian Snickers ad that makes a mockery of street harassment and gender equality. For some time now, Snickers’ commercials have been based on people acting really strange or belligerent because they are hungry. Once fed a Snickers bar, they are satiated and return to normal. In this Australian commercial, construction workers are acting out of sorts from hunger. 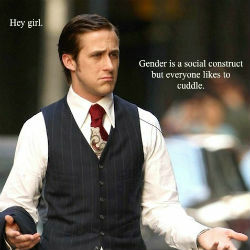 We know this because they are yelling egalitarian slogans at female passerby that sound straight from the mouth of feminist Ryan Gosling. Feminist men: It’s funny because it would supposedly never happen. And then the commercial ends and it’s all yanked back in the most disgusting way. It ends by claiming that pro-feminist men are clearly unnatural. Men don’t respect women — at least, not this kind of man — they’re just so hungry they can’t think straight. Wade finishes her piece by declaring that she would never be buying Snickers again. But I’d like to know what feminist would be eating them in the first place. 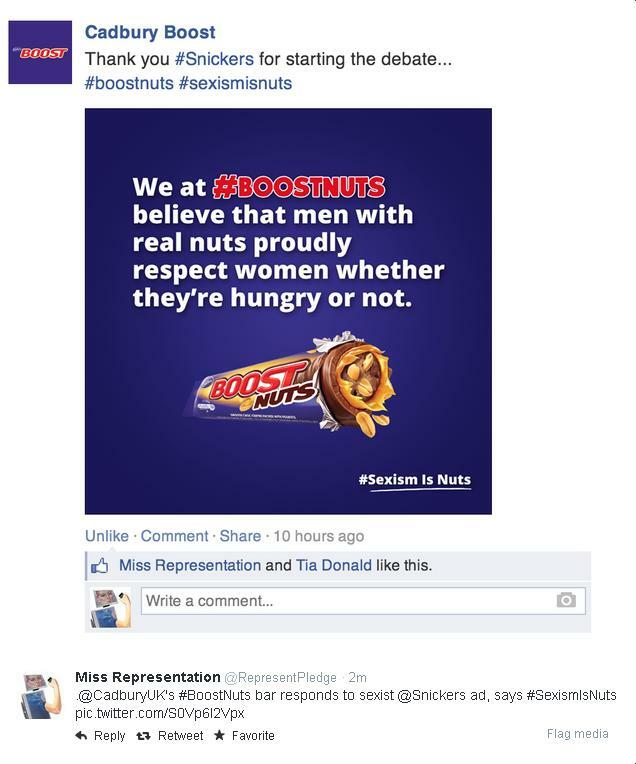 Today Cadbury jumped on the bandwagon with an ad for their Boost bars that reads: “We at #BOOSTNUTS believe that men with real nuts proudly respect women whether they’re hungry or not. #Sexism is Nuts.” Then MissRepresentation retweeted it. Now I’m really confused. So far as I am aware, both Mars (who makes Snickers) and Cadbury source their chocolate from child slaves in Africa. Their chocolate also contains dairy products from enslaved and tortured cows who are eventually killed. Cadbury suppliers rip the newborns from their mothers, throw them in the back of a corpse-laden truck, and blast them in the face before feeding them to dogs. The calf pictured managed to survive a bullet to the head and struggled his way across the bodies of his family members to the corner before he was finished off. Additionally, Mars has been testing their products on animals for years–so they can tout the healthy properties of their chocolate. It appears Cadbury was purchased by Kraft Foods, which likely conducts animal testing as well. So, really, as a feminist against the oppression of others, I would never, ever purchase from Mars or Cadbury, and I’m really quite disgusted that large feminist collectives would promote either. 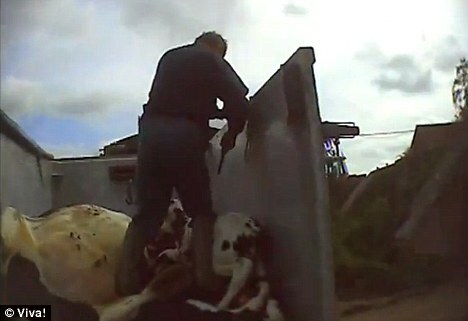 Male calves are considered “by products” of the dairy industry and meet brutal deaths. Cadbury was under fire for shooting calves in the head. Though this image is disturbing, this calf’s torture and death is considerably less brutal than that of most male calves (who enter the veal industry). These are capitalist enterprises–sexist or not sexist–they are out to profit by exploiting the vulnerable. Nice try Cadbury, but aside from being a slave industry, you also managed to maintain cis-normativity in presuming real men must possess “real nuts.” And using “nuts” as a pejorative is also disableist! “Sexism is nuts” reads like “People who are sexist are bad people, just like mentally ill people.” Fair-traded vegan chocolate for me, please. This entry was posted in Disability, Feminism & Patriarchy, LGBT & Heteronormativity, Nonhuman Animal Rights & Speciesism and tagged Animal Rights, Chocolate, Feminism, Intersectionality by Vegan Feminist Network. Bookmark the permalink.